It's been almost two months, but all her fur has finally grown back. When Princess was first found nearly two months ago, she was so sick that no one knew exactly what type of animal she was. "My heart just ached for her," Sharon Bertozzi, the homeowner in California who first found Princess wrote on Facebook at the time. The young animal had been cowering behind a ceramic vase on Bertozzi's porch for four hours. 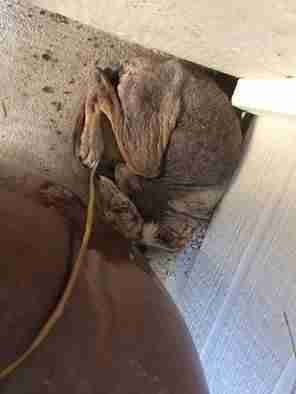 Sympathetic to her plight, Bertozzi contacted City of Folsom Animal Services to rescue the animal. 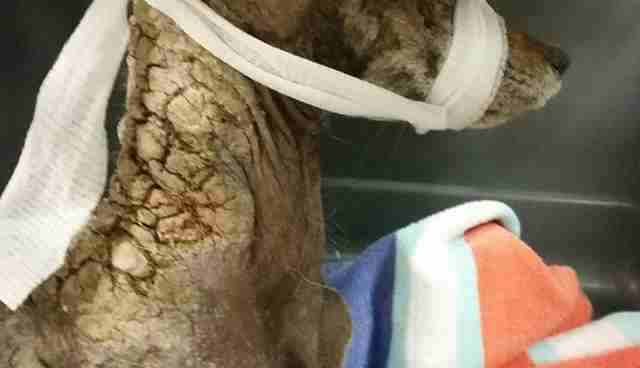 "At first this was thought to be a old very sick dog," the department wrote on Facebook. 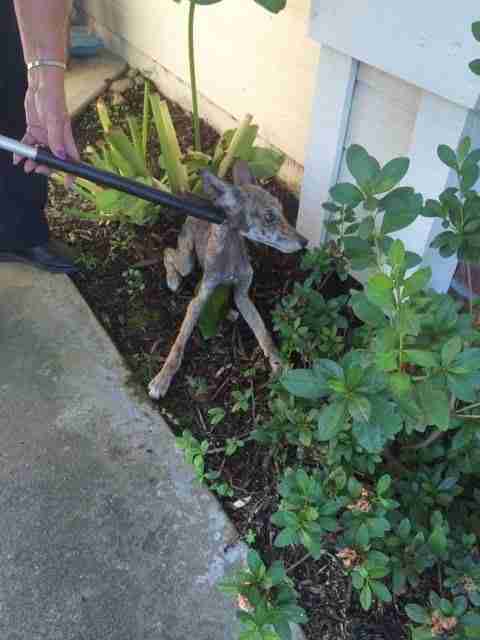 "Upon taking a better look, it is really a young coyote with a really bad case of mange ... This one was taken because [she] was right by a front door to a house and was not wanting to leave." 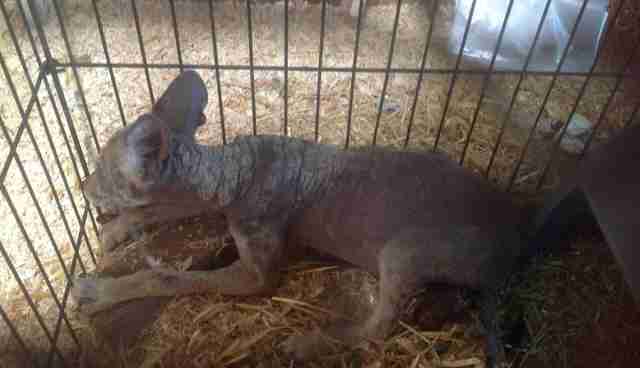 Princess' rescuers were able to correctly identify her as a coyote pup who was suffering from a particularly bad case of mange - a skin disease caused by mites that can lead to hair loss, intense itching and skin irritation. She was also dehydrated. Folsom Animal Services transferred Princess to the Gold Country Wildlife Rescue (GCWR) in Loomis, California, for further treatment. At GCWR, Princess was given hydration fluids for her dehydration and medicine to help ease her itching and start healing her mange. After her first bath, the rescue told The Dodo, she starting scratching less and eating more - all good signs that marked the start of a lengthy recovery. 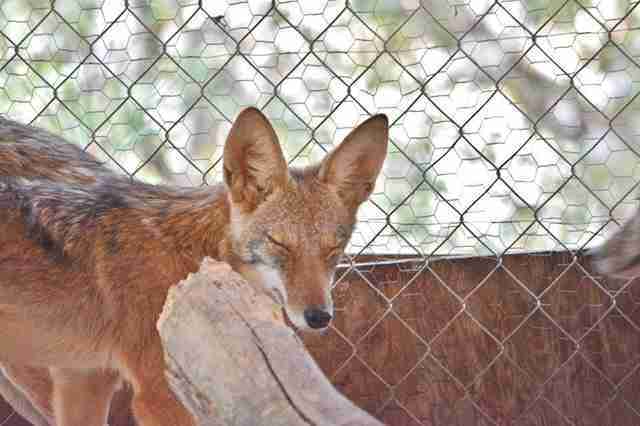 The goal, of course, was to get Princess healthy enough to return to the wild. 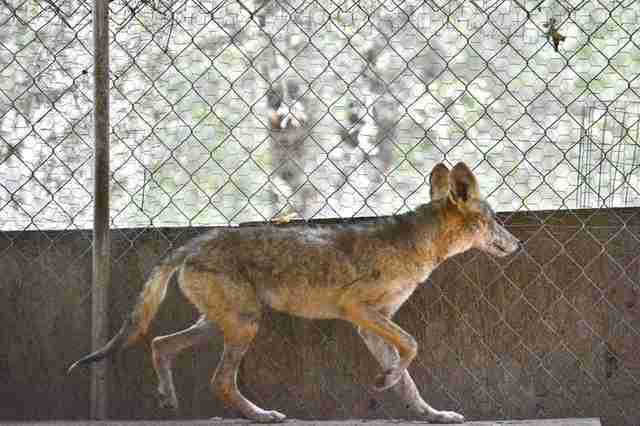 After the initial phase of her rehabilitation, which focused on curing her mange, Princess was transferred to the Sierra Wildlife Rescue in Placerville, California, since GCWR had no other coyotes for her to spend time with. 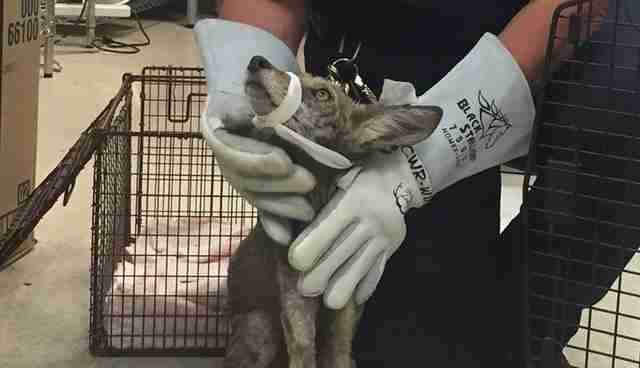 "There she was put with two other coyote pups about her age," Folsom Animal Services wrote on Facebook. 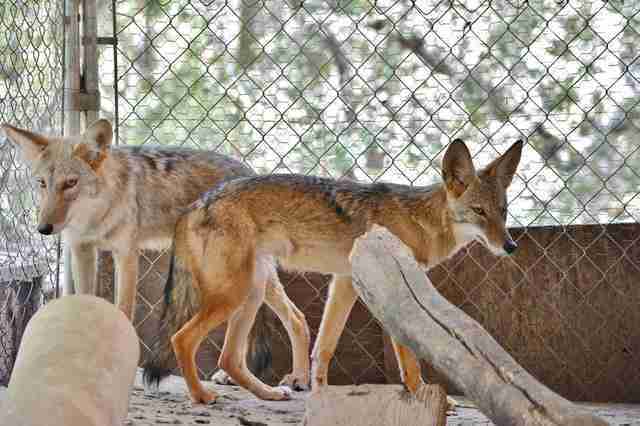 Since coyotes are pack animals, Princess bonded quickly with her new pack mates. At the end of last week, she finally returned to where she belonged with her new friends. 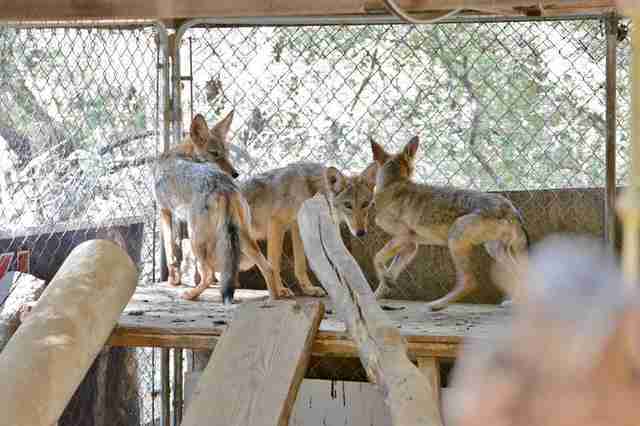 All three coyotes were released on over 800 acres of open land, with the full permission of the property owners. Though Princess seemed so hopeless when she was found, she made the most incredible transformation - and even better, she's no longer alone. 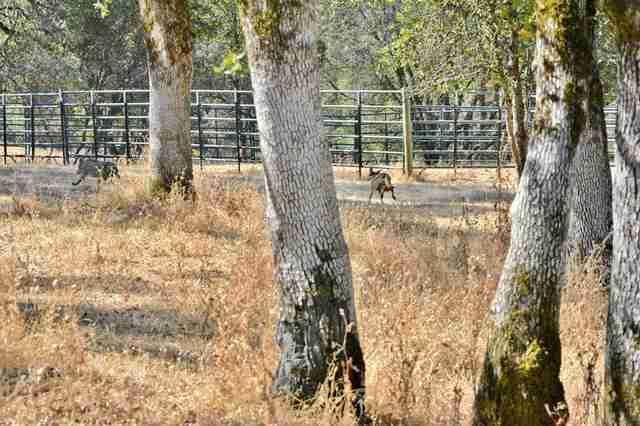 "It was absolutely thrilling to watch them run off together, returning to the wild life they all deserved," Folsom Animal Services wrote. "This was truly a very rewarding adventure for all involved to see them healthy and free." It took many individuals and groups to see this moment come to fruition for Princess, but she would have never made it this far if it weren't the simple gesture of the woman who refused to let her suffering continue. "She owes her thanks to the kind person who found her curled up on their patio, sick and emaciated," Folsom Animal Services wrote. 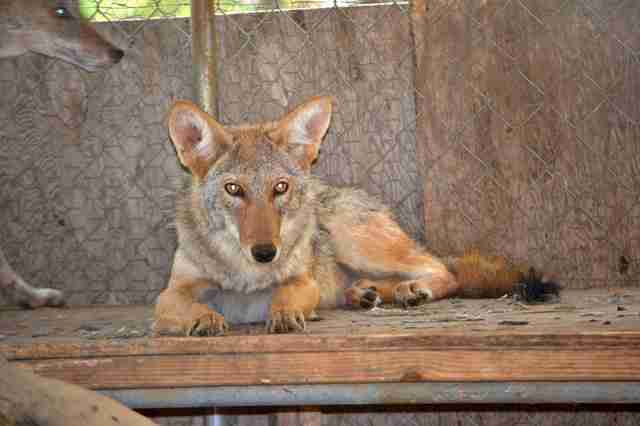 Want to help GCWR and Sierra Wildlife Rescue continue doing good work for animals in need? Learn more about how you can make a contribution here and here.